Product prices and availability are accurate as of 2019-04-19 10:25:07 CDT and are subject to change. Any price and availability information displayed on http://www.amazon.com/ at the time of purchase will apply to the purchase of this product. These days, it is not surprising to hear leading Christian thinkers refer to our Founding Fathers as Deists. In so doing, they mimic the gobbledeegook being spouted by the architects of historical confusion which dominate modern academia. 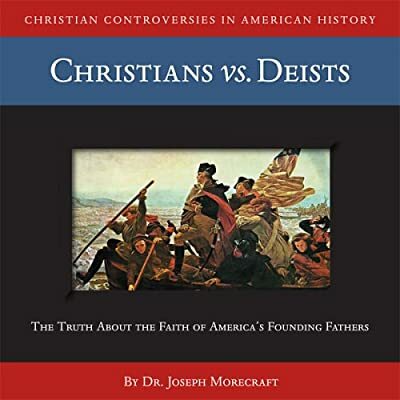 The time has come to set the record straight, and no one is better suited to handle the job than historian and theologian, Dr. Joe Morecraft. Morecraft presents the founders as real men, but men who operated in a distinctively Christian and Calvinistic cultural consensus. He ably rebuts the counter arguments presented by those who oppose the providential view of American history. By Joe Morecraft. Approx. 60 min.